Carved Designs has been serving the residential and commercial needs of the Memphis community since 1986. We specialize in custom design rendered in stained and etched glass. We have provided architectural accents for a wide range of clientele, including churches, hospitals and homes. 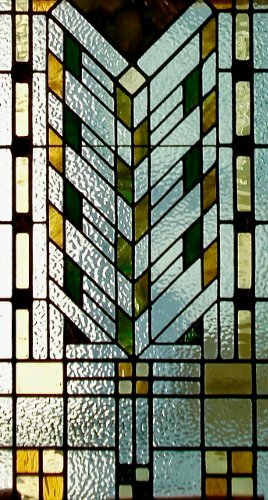 Carved Designs has also contracted with other local glass studios to undertake projects of a special or challenging nature. This business includes etching work in a variety of mediums such as metals, wood, stone and plastics. 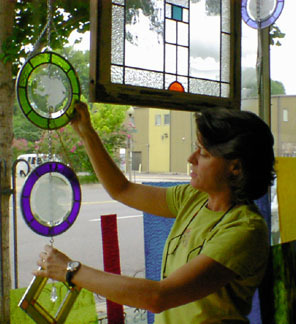 Cindy Sharpe has been working in the glass industry for over 20 years, and is the sole proprietor of Carved Designs since it’s inception. While acquiring a BFA in Sculpture from Memphis College of Art in 1982, she was appointed head artist and technical supervisor or the creation of the Vietnam War Memorial here in Memphis. She has worked on projects for the historic Peabody Hotel in Memphis and Orlando, Florida, which involved the installation of distinctive fountains etched in glass and stainless steel. Cindy also took part in extensive research and technical development of etching techniques for metal elevator doors, which resulted in business projects for Dover Elevator Corporation and Walt Disney Enterprises. Through Carved Designs, she continues to offer services of custom designed architectural applications to individuals and organizations, while working in cooperation with a local network of dedicated designers and artisans.